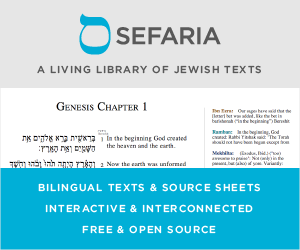 Why do Ashkenazim in Israel tend to use Nusach Sefard? Generally, the original non-Chassidic Ashkenazi community in Israel were followers of the Vilna Gaon. Since they were practically the only Ashkenaz presence in Israel, they were able to institute many of the Vilna Gaon's rulings in their new communities. So why is the general non-Chassidic custom in Israel to use the Nusach Sefard (not the Nusach Eidut HaMizrach, but Sefard which is a mix of Nusach Ashkenaz and Eidut HaMizrach)? Outside of Israel, this Nusach is traditionally used by (non-Chabad) Chassidim, while non-Chassidim use the traditional Nusach Ashkenaz. Did the Vilna Gaon support using Nusach Sefard? Some comments on the question have disputed whether you're right that an inordinate number of Ashkenazic synagogues in Israel use nusach "S'farad". I haven't seen statistics on point, but my limited experience tells me that you're right, specifically about such synagogues as are often called "דתי לאומי". If so then, as you ask, why? Someone once told me why. He was an Israeli whom people might call "דתי לאומי", but beyond that had AFAIK no particular expertise in the subject at hand; but what he said makes good sense to me. He said that the elementary schools called "דתי לאומי" (or "ממלכתי דתי") generally get a mix of children whose families use various versions of the prayers, and therefore most such schools use "S'farad" as a sort of compromise, since it will be least dissimilar to the greatest number of people's home versions. These students thus grow up using "S'farad" in school; many of them do so at home also therefore, and continue to do so throughout their lives, which explains why their synagogues (as adults) do so also. The Hasidic movement won over the majority of the Jewish population of Eastern Europe, at least on superficial levels like prayer rite, and the majority of people ended up using Nusah Sfard. Eastern European Jewish immigrants to the Land of Israel continued with what they were used to. Their descendents make up the majority of Ashkenazi Jews in Israel. Not the answer you're looking for? Browse other questions tagged minhag eretz-yisrael nuschaot nusach-sefard yerushalayim-jerusalem . Who edited the “Nusach Sefarad” nusach? Is the Koren Sacks Nusach Sefard truly nusach ha'Ari? Why does Nusach Ashkenaz say Ledovid after Maariv? Why do Nusach Ashkenaz and Nusach Sefard have different ways of winding the arm tefillin? Why does Nusach Sefard omit Tachanun during Mincha?